I absolutely love the look and feel of this Placemats! They are a wonderful addition to my tablescape (BONUS: Walmart carries a matching table runner <3). They are hipster meets wholesome, and they kick my Sunday dinners up a notch. The quality feels really nice, and they're sturdy. I would totally recommend this product if you're looking to elevate your entertaining game. I am a writing this review as a part of a contest. 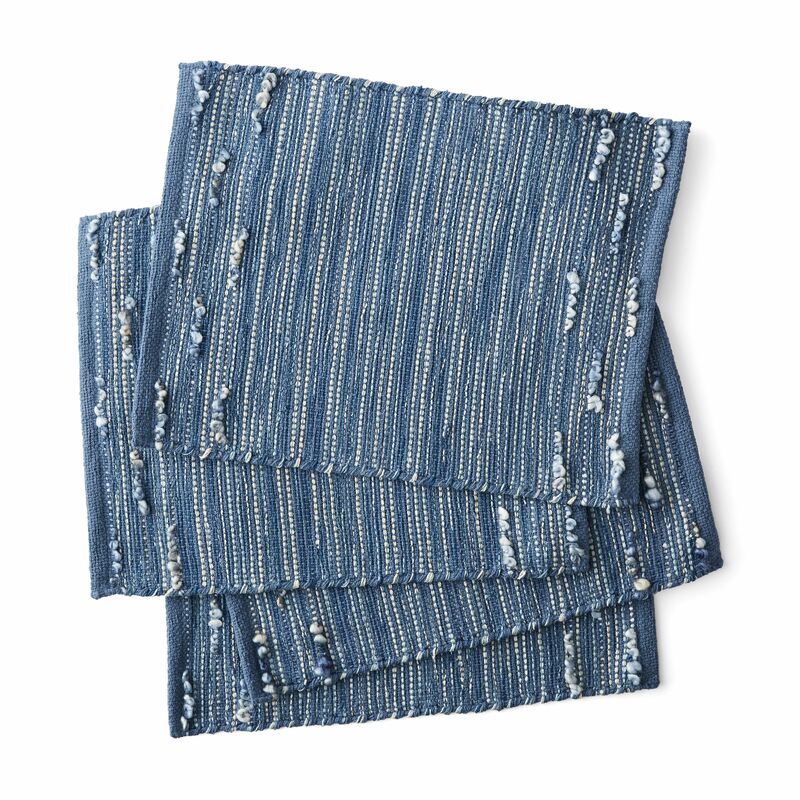 Home territory searches the web to find the best prices and availability on Placemats and related products foir your home like Better Homes & Gardens Striped Looped Placemats, Set of 4, Blue. For this page, related items include products we find that match the following keywords: "Placemat" at our vendor partner Walmart - Click More Info / Buy Now to check for price rollbacks!. Better Homes & Gardens Striped Looped Placemats, Set of 4, Blue is one of 89 Placemats and related products available for sale through HomeTerritory.com, If you have any questions on this product, please give us a call at 734-971-1210 during the hours of 9am - 5pm EST for assistance. Thank you for shopping at Home Territory, the home furnishings superstore!